What – you never heard of International Talk Like a Pirate Day? This holiday has been going on every September 19 since 1995. Pirate festivals are happening around the world. Many enthusiasts celebrate well past the official holiday. Insane people actually become a pirate. The holiday was started as a parody and went viral when Dave Barry received a letter from the founders and supported the event in his humor column. Since then millions of people adopt the playful traits of a pirate for a day each year, if for no other reason, just to drive their friends crazy. Being a pirate for a day is a great excuse to cut loose and be a little obnoxious. Just think of what Johnny Depp gets away with after all! 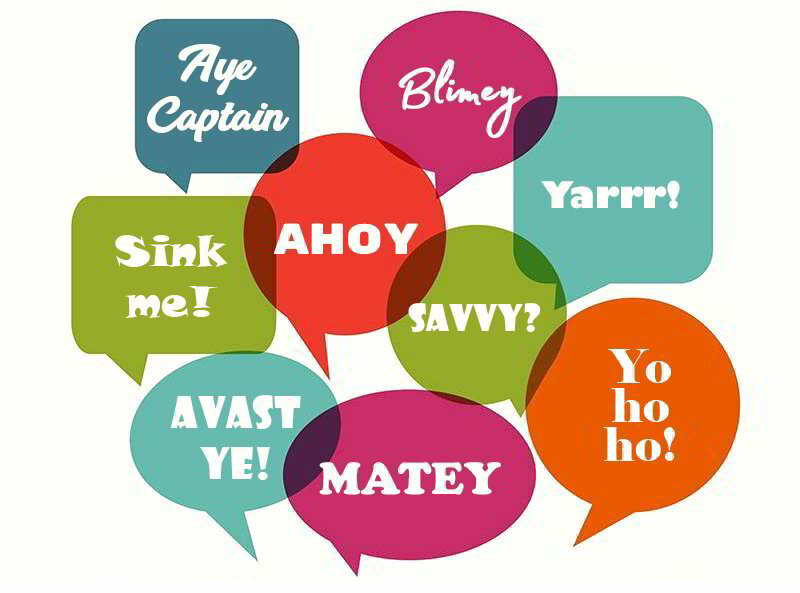 If anyone calls you out, just say, “Don’t you know it’s ‘International Talk Like a Pirate Day’ today? You’ll find out who are the fun people in your life, because they will catch on and join you in the pirate revelry. Take part in the following three activities and you and your maties will have the time of your life on September 19. Answer the phone with “Ahoy Matie”. Respond to any question that deserves a Yes with “Arrr”. When you want to say “F*#@! that”, go with “Scupper that!” instead. What could be more fun than getting together with your favorite carousers (people who engage in festivity), splicing the mainbrace (having a few drinks) till your squiffy (tipsy), talking stupid, and playing pirate games? crew is smart enough to find the treasure. party drink recipes that are portioned just right for your Jolly Roger Pirate Flag Flask. Yo Ho Ho in no time. Top off your Party Flask with ice. of the Caribbean, here is how to play. bandana and an eye patch. Some people get creative with the bandana. look forward to each year.